Real estate podcasts can is one of the best and easiest ways for investors to continue their education. There are some real estate podcasts that are perfect for beginner investors. Finding the right real estate podcast gets you access to industry news, trends and strategies, no matter what your experience level. Every real estate investor knows the importance of education, of learning the ins and outs of their exciting (though often overwhelming) new vocation. One of the best ways for new investors to continue their education is by listening to real estate podcasts. When trying to up your investor IQ at the same time you’re starting a real estate business, it can feel like there’s too much to cover, and not enough time to cover it. That’s why podcasts are the perfect vehicle for boosting your investor (and entrepreneurial) know-how while you do things like sit through traffic or engage in your daily exercise routine. And while there are many great podcasts out there — and new ones popping up all the time — here are six must-hear podcasts that are a perfect complement to the continuing education of the beginner real estate investor. GetWealthFit Podcast: If you want to get inside the heads of today’s top money-makers, investors, and celebrity entrepreneurs, be sure to add the GetWealthFit podcast to the top of your list. Not only will you come away with actionable tips on how to improve yourself and your business, you’ll also be delightfully entertained by host Dustin Mathews. With guests from Atlanta Hawks owner and best-selling author Jesse Itzler to former NFL player and FortuneBuilders founder Than Merrill, there’s no doubt you’ll want to tune in every week. Learn unique ways to boost your income, invest smarter and get the very best out of life! BiggerPockets Podcast: There’s a reason why the BiggerPockets podcast is the no.1 rated real estate podcast on iTunes. With practical tips and insightful interviews on how to expand your real estate business, this weekly show hosted by Josh Dorkin and Brandon Turner is a great resource whether you’re a first time real estate investor or a cagey investing veteran. Motley Fool Money Show: The Motley Fool Money radio show is a weekly installment of financial information that broadcasts all across America, most notably in prime markets such as Washington, D.C.; Boston and San Francisco. But it’s their self-described “irreverent, fast-paced look at the world of business and investing” that gives this show its devoted and passionate following.Even if your investing strategy isn’t primarily focused on Wall Street, this funny, though educational, show can give great insight into market conditions — and the psychological factors that influence them. And with five different podcasts to choose from, you’re certain to find something that catches your fancy. The School of Greatness: As the name suggests, this popular podcast hosted by author, entrepreneur and former professional football player, Lewis Howes, features interviews with top-performing experts and personalities, in a variety of fields.From conversations with CrossFit founder Greg Glassman on the future of fitness to an in-depth chat with NBA star Mike Conley on the power of humility and discipline, this inspirational podcast is a definite add to your to-do list toward greatness. Smart Passive Income: When you’re a new real estate investor it can be easy to put all your investing eggs in one basket and hope all your future income comes from real estate. But as the Smart Passive Income podcast, hosted by entrepreneur rockstar Pat Flynn, makes clear, passive income can come in many different shapes and sizes.Boasting more than 11 million downloads, this no-nonsense, enthusiastic guide is the perfect road map to setting up systems and assets for you to enjoy passive income — without spending 40 hours a week on it.Best of all, Flynn shares his own personal passive income results — both good and bad. If you want a “look over the shoulder” experience from one of the best in the passive income business, this podcast is a must listen. Social Media Marketing: Figuring out where leads will come from is one of the biggest obstacles that many starting a real estate career face. This comprehensive resource, from the folks over at Social Media Examiner, is a one-stop shop for all things social media marketing. Each episode features actionable tips — and interviews with proven experts — who’ve used platforms such as Facebook, Twitter, Instagram, Pinterest and LinkedIn to promote their message and boost their sales.Also, don’t forget to check out their blog. If you’ve got a social media marketing question, chances are you’ll find an answer somewhere in this blog’s extensive archives. Freakonomics Radio: Learning how to start a real estate investment shouldn’t be all work and no play. And this popular podcast, hosted by Stephen Dubner — co-author of the best-selling book Freakonomics — definitely has enough “play” to keep you entertained and engaged while you learn something about how financial incentives play a role in everything we do.From an in-depth look at what Olympic cycling and Renaissance painting have in common to the effects that storytelling have on our brain, this quirky, fascinating podcast will keep you laughing, while it makes you a more well-rounded and informed investor. As a beginner real estate investor it can feel like everybody in the world — including the competition — knows far more than you do about the investing business. And that it will take years, if not decades, of dedicated study to get your entrepreneurial IQ to a standard where you’re doing more than just “treading water.” But sometimes it’s far better to learn in “sips” rather than “gulps.” And learning in small, digestible chunks — while you engage in consistent action — can not only help your expertise grow, but give your confidence a huge boost as well. Listening to real estate podcasts can help you do exactly that. There are a myriad of real estate investing podcasts available, with some of the best real estate podcasts summarized above. 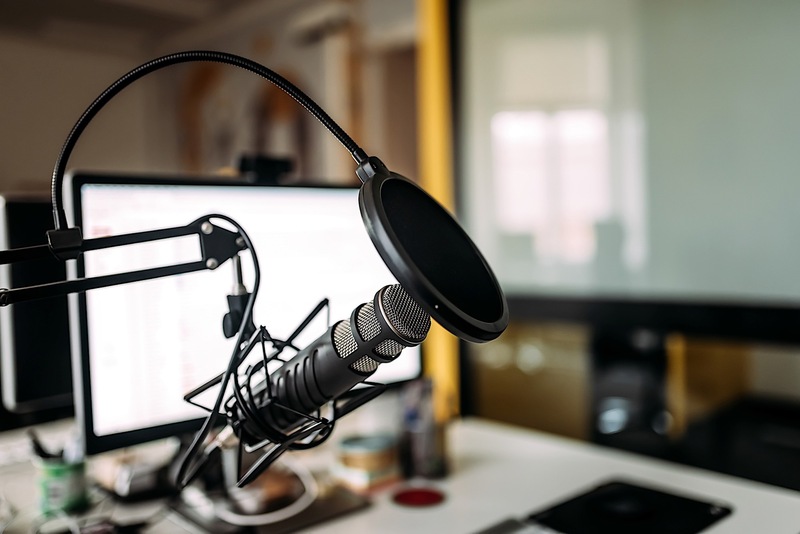 By incorporating these top real estate podcasts into your daily schedule, such as in your daily commute, you can learn and stay up to date on industry new, trends and strategies. Keep in mind that listening to podcasts is not just for beginners; even the most seasoned and experienced investors can use podcasts as a way to continue their education throughout their careers.